Rehabilitation is a major part of our conservation work. All penguins deserve a second chance! Injured, sick or still too young to take off on their own, we give them a helping hand so that they may be successful in the wild. 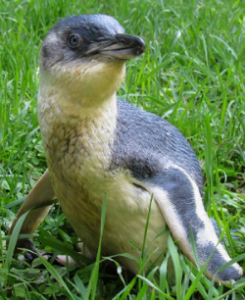 Read about some of our most memorable and charismatic penguins we have had in care! Penguins are so cute that we all want to see them and so here is a selection of places around New Zealand where we would advice you to go. The Akaroa Lighthouse is an iconic feature of this french village. Currently, it is safely nestled in the Akaroa Harbor just south of the main wharf. 40 years ago it was moved from the entrance of the harbor where it stood for over 100 years guiding whalers, sailors and shipping crews safely inland. Learn more about its incredible history and how the 24 ton building was moved over the crater’s rim and into town! 2017 and 2018 breeding season at Pohatu bay. This year was a tough one for our Little Penguins. With the combination of warmer ocean temperatures via La Nina and increased predation from the Southern Giant Petrel we had many injured and orphaned penguins. 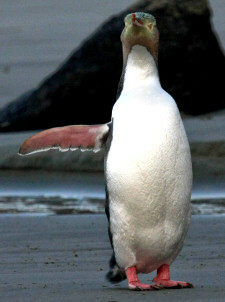 However, we were able to succesfully release over 30 of those penguins back into the wild!. 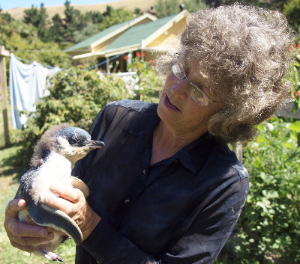 The incredible story of one special penguin that we have finally released back to sea! We’ll miss you Fat Foot! Thanks to a collaboration with a local with now have 50 new nesting homes. More homes means less competition which mean a higher successful breeding rate. It all started with the wettest November that the area have had on record for the last 100 years. Young fluffy chicks going on walk about a late moulting season, it all happens a bit differently than most years.